Pierre Bergé is never far from fashion designers. The French bulldog, seems to be the only character that resists the passing of time in “Celebration,” a documentary by Olivier Meyrou on the couturier’s last years at his fashion house in France. “As the legend goes I don’t know if it’s true in order not to affect Yves Saint Laurent, every time the dog died it was replaced on the very night and kept the same name,” said Meyrou in a statement. 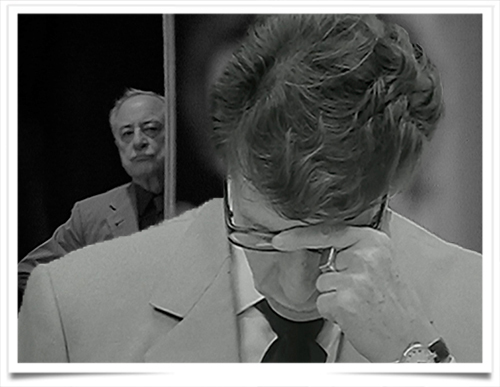 The depiction of an aging, ailing Saint Laurent moments before his departure from the fashion house in 2002 is said to have incensed Pierre Bergé, Saint Laurent’s life and business partner, who blocked the release of the film. A silent and camera-shy Saint Laurent is filmed in black and white, while other members of the couture house the première d’atelier Madame Colette, the head of p.r. Dominique Deroche, Bergé, Loulou de la Falaise and Betty Catroux move and talk in color. Bergé asked the director to view the footage before its release, which Meyrou refused. So the documentary was banned from hitting screens. The film tells the story of an ending marked by physical deterioration, the moment where creation seems almost impossible. His way of moving, of behaving, was a lot more enlightening than an interview would have been,” he said. The Fondation Pierre Bergé Yves Saint Laurent declined to comment on the release.